The good news is that it’s easy to make your own healthy energy drink from natural ingredients. 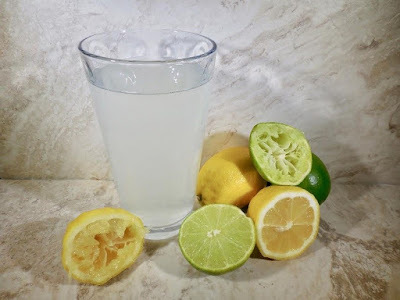 The recipe that follows, offers a fantastic Electrolyte Energy Drink that will do the trick without all of those nasty side effects. Not forgetting it’s ridiculously cheap to make. Electrolytes are important for regulating hydration, that’s why you’ll often see them listed on ingredient labels in those store-bought drinks, such as calcium (Ca2+), sodium (Na+), chloride (CI-) and magnesium (Mg2+). The body can absorb these electrolytes faster than if you were to drink plain water. While tap water can contain minerals, the amount and type often vary. It’s effective for hydration, but you can’t count on it for a specific level of electrolytes. Electrolytes carry electrical charges that are tasked with stimulating the muscles and nerves. They also aid in regulating the amount of fluids in the body, which in turn affects a number of functions, including blood volume and blood pressure. Sodium plays a key role in regulation, but all types of electrolytes work together to keep fluids in the body balanced. It’s essential for the body to maintain a certain amount of each one, as a precise proportion is needed for them to work like they should. Drinking this electrolyte beverage will help prevent dehydration, but that’s not simply because it will count toward your daily water intake, but because the sodium from the sea salt encourages the body to hold onto that much-needed water. 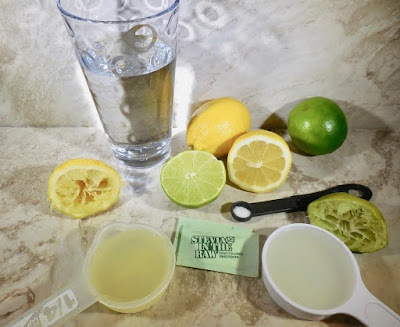 Plus, the sweet lemon/lime flavor offers a refreshing break from plain water, providing the added benefit of taste, making it easier to meet your hydration goal. When you’re working out, or if you’re outside on a scorching summer’s day, getting the amount of water your body needs is essential for regulating your body temperature. And, if you’re an athlete, or simply training for a 5K, staying hydrated is a must for optimal performance. If you’re going to be taking part in sustained exercise (longer than an hour), double the Electrolyte Energy Drink recipe and drink half of it beforehand. Put the other half in a water bottle to sip on throughout your workout to stay hydrated. You may even find that both your endurance and speed are improved. With just 4 simple steps, anyone can make this hydrating drink with ingredients often found in everyone’s kitchen! Fill glass with 1 ½ cups water. Add squeezed lime and lemon juice, salt, and stevia or honey. Stir really well, making sure the salt has dissolved.